"A sweet, charming, and endearing story of friendship and adventure along the unexpected paths on which life often takes us. The novel feels exceptionally real and is delightfully funny. A book that the reader will have a hard time putting down, “Odd Guy, Even Girl” is not to be missed!" The Columbia Review. 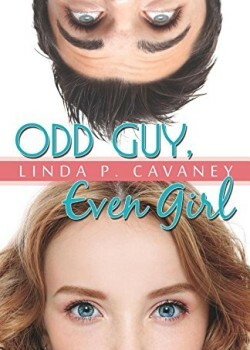 Linda P. Cavaney has stormed on to the humorous fiction publishing scene with the imaginative and delightful “Odd Guy, Even Girl” – a novel full of engaging and creative stories about eccentric and entertaining characters that will keep the reader amused from start to end. The book centers on a handful of quirky, immature characters in their early thirties. The story’s protagonist – Ellie Pages – may be the quirkiest of them all. What Ellie desires most in life is stability and consistency. She has a particular fondness for even numbers, but doesn’t care much for things like traveling, rewarding relationships with friends and family, or having an exciting career. What some might call an underachiever, Ellie just wants everything to feel under control. And, of course, this is exactly the opposite of what she gets. The author skillfully and humorously weaves together the relationships and experiences of the story’s characters through a four-legged, three-toed Portuguese water dog named Lucy. Lucy unexpectedly brings the friends together and highlights the importance of connection. The characters’ back-and-forth banter is natural and realistic, and the book’s format is unique and intriguing: it is divided into two parts, each containing several short chapters (each, a “scene”). The many pop culture references from past and present will be recognizable and interesting for readers of a wide range of ages. In summary, Linda P. Cavaney has produced a sweet, charming, and endearing story of friendship and adventure along the unexpected paths on which life often takes us. The novel feels exceptionally real and is delightfully funny. A book that the reader will have a hard time putting down, “Odd Guy, Even Girl” is not to be missed!